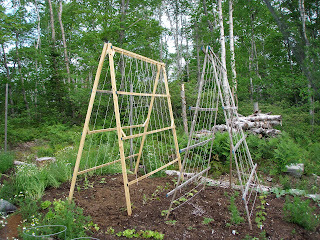 I was asked recently about my A-frame trellises, which I use for an assortment of vining veggies. We use them to support the vigorous growth of cucumbers, climbing types of summer squash, gourds (with very heavy fruits), baby pumpkins (baby boo and Jack-b-little), pole beans and more. They're built, very basically, from 8-foot lengths of 1 x 2's and the finished trellises measure 8 feet long and once placed in the garden with the 'feet' sunk into the earth, are about 6-feet tall. Before I put them in the garden, I do run lengths of twine vertically up and down the trellis so that tendrils have more bits to grasp for climbing. You could also attach chicken wire or another type of mesh. 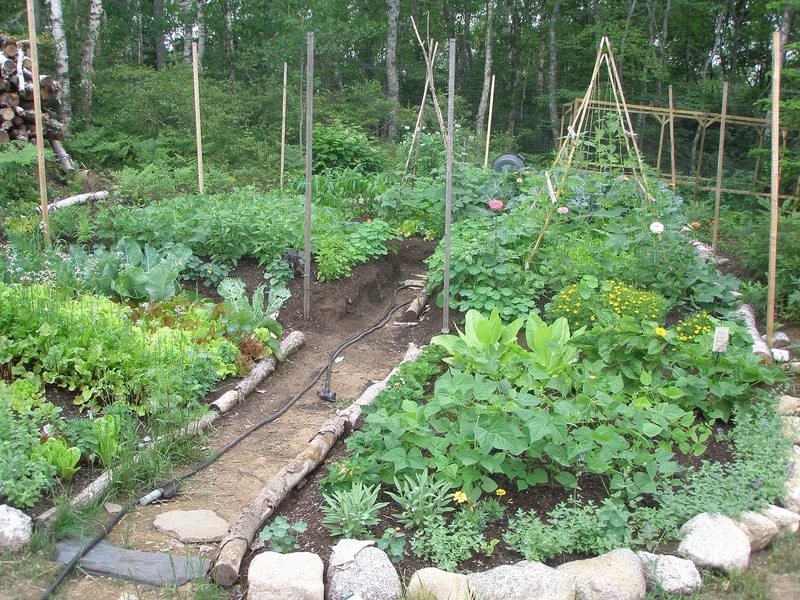 There are many designs on the internet for these types of structure, but I wanted ours to be large so that they would fit the garden beds. Here's an example of one with chicken wire. I find it easier to harvest if the 'holes' of the chicken wire are big enough so that my hand fits through. effective. Takes about an hour to make one. Ours have stood up rather well and each one lasts about 3 years and costs around $20 to make. In the partial shade of the vines, underneath the trellis, we grow cool season veggies like spinach, lettuce and arugula. No wasted space! 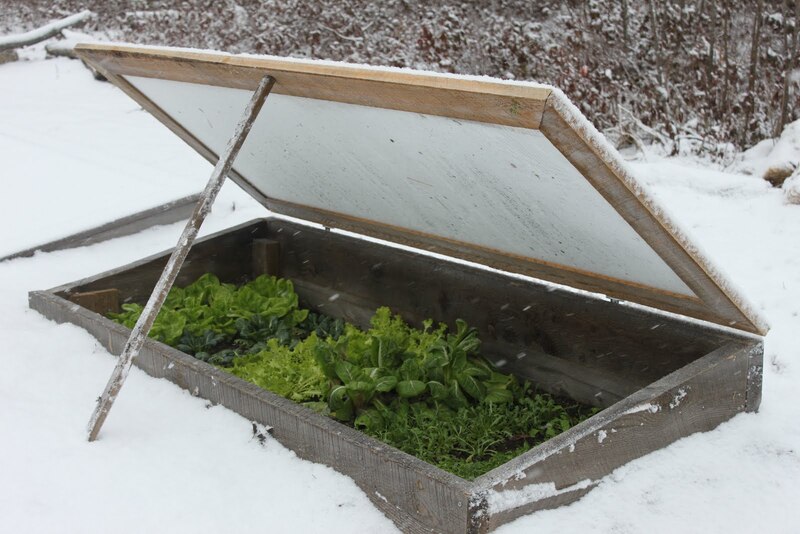 By giving these greens shelter from the hot sun, this allows us to grow them in mid-summer when they typically would bolt quickly. Although I love my simple trellises, I think I will go more heavy-duty this year as 2 of them collapsed in a hurricane last autumn - mind you, they were rather heavy with gourds! There are so many fun designs out there that I thought we'd experiment a bit more with vertical veggies.. I had great success last summer with my Trombetta climbing squash from Renee's Garden. The flavour was outstanding - nutty, with hints of artichoke (which I LOVE) and although production wasn't up to normal standards because of the wet, cool summer, we still harvested a handful of long, trumpet-shaped fruits from our 2 plants. Great book.. full of easy ways to increase production! I've also been reading the excellent book, Vertical Vegetables & Fruit by Rhonda Massingham Hart (Storey Publishing, 2011) (Full disclosure - Although I haven't had the pleasure of meeting Rhonda, we've chatted via e-mail and I'm pleased to say she has provided an amazing garden plan for my next book, Edible Garden Plans). 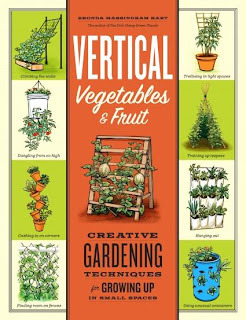 Vertical Vegetables & Fruit has given me new inspiration to keep growing edibles up and I love so many of the clever ways she details in her new book - growing in bags, trellising, growing a personal salad bar, shoe bags, window farming and so on. 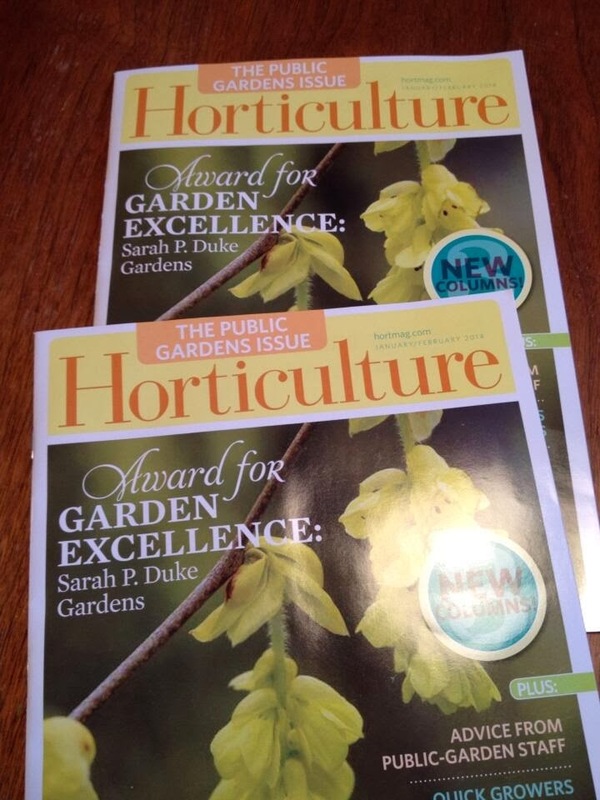 I am hoping to book her for The Weekend Gardener radio show when Season 6 starts in just a few weeks.. I'll keep you posted! 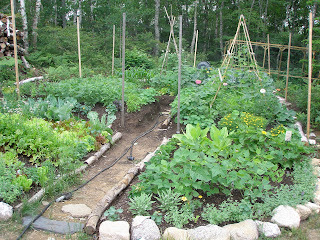 I'm shoring up my trellises this year, too. 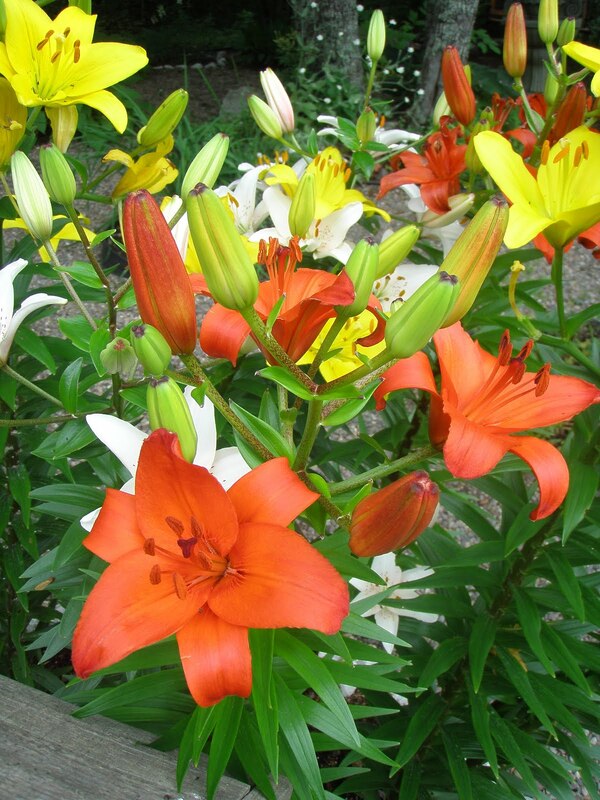 They add to my productivity in a small garden as well as being attractive. 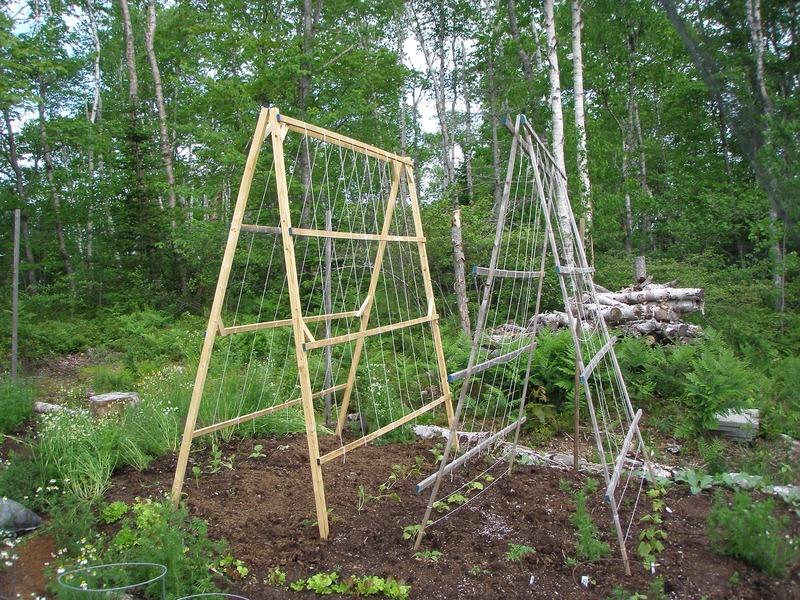 I've had success with a store-bought trellis I use for cucumbers, growing greens underneath in the shade as you suggested. Yesterday, I began work on an a-frame similar to yours for black-eyed peas, which last year proved to be much more exuberant than I expected. Trying to tie up everything when a hurricane threatened my area was an experience I don't wish to repeat. 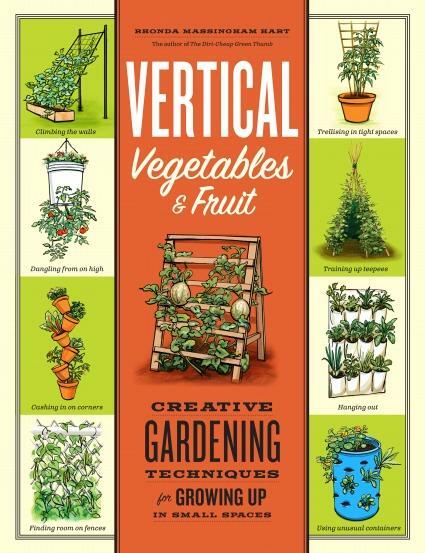 My next task will be to attempt something like the ladder squash trellis pictured on the cover of Vertical Vegetables and Fruit. By the way, I have a question if you interview Rhonda. She recommends not using treated wood, as I'm sure the 1x2s I buy at Home Depot are. It is my understanding that wood is not treated with harmful compounds anymore (supposedly manufacturers switched from arsenic-based to copper compounds in the early 00s), but that one should use stainless steel screws to avoid corrosion. Should I worry about sinking this wood into my garden for the season? I don't worry about the above ground portion since it does not really come into contact with the fruit. Great question for Rhonda.. I will ask her. Our 1 x 2's are untreated, hence the 3 year life span. I think I'll go with our local hemlock for the new trellises. It's inexpensive and lasts for 8 to 10 years. 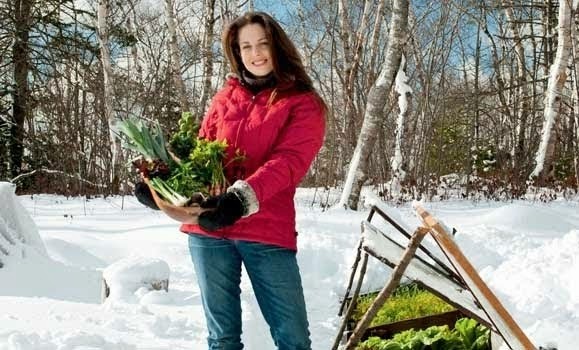 We use it in our cold frames. I like that ladder trellis too.. I will send Rhonda a note to book her sooner than later.. it's such a fun topic. Thanks for your comment! That looks Like a very good book. I will have to put it on my to buy list! Niki, Thanks so much for sharing this! Your design makes more sense than the ones with chicken wire. My hubby and I both thought those would make it harder to harvest most things.